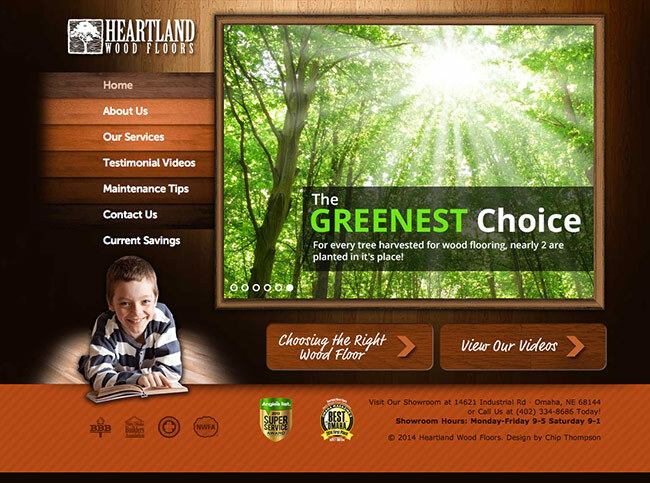 Today, we’ve launched a brand new site for Jackie and the gang over at Heartland Wood Floors. I always get tremendous satisfaction from clients I’ve worked with over the years…and the privilege of building multiple sites as they evolve. In this case, we redesigned the site to take advantage of the WordPress Content Management platform…allowing them complete flexibility in editing their own content.